Join us for our annual Trunk or Treat! Church and School families are invited to decorate their trunks and hand out treats for this community event. Please invite your friends and neighbors! 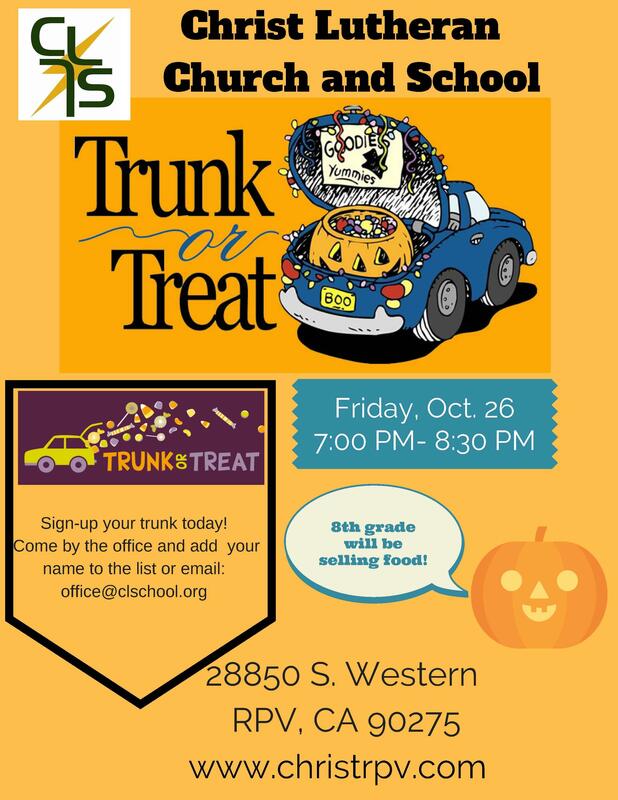 Sign-up your trunk in the office or by emailing office@clschool.org No scary trunks or costumes please!